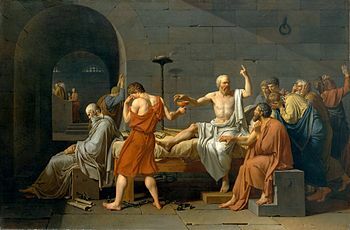 I have a broad academic background in philosophy, with a specialization in social and political philosophy and theory and the history of philosophy, particularly Plato, Kant, Hegel, Russell, and Sartre. I also specialize in logic. I have a background in applied, normative, and meta-ethics. My senior honors thesis, Much to Do About Suffering (2002) looked at the obligations societies have to prevent and alleviate the suffering experienced by their citizens. I am currently working on broadening this thesis to a book-length manuscript that will not only look at Kantian duties and group responsibility, but will also look in-depth at levels of suffering. From 2004-2006, I worked on (and obtained) a Masters of Arts in philosophy from Northern Illinois University. During my time there, I presented on the special duties of friendship from a Sartrean perspective. I also presented a paper, “Kantian Politics in The Critique of Pure Reason” at the 2007 MPSA Conference held at the Palmer House Hilton in Chicago. From 2006-2007 (December), I attended Michigan State University, and I worked toward a Ph.D. in philosophy. While I did not complete the program due to financial and family considerations, I did thrive in the program. I served as a TA for an introduction to logic course and for a humanities course focusing on the modern world taught to mostly juniors and seniors. I presented my paper, “The General Will Toward Perpetual Peace: A look at the general will in Kantian political theory” at the 2007 International Social Philosophy Conference in Millersville, PA. In addition to adding articles to volumes in the Pop Culture and Philosophy series, I have also written entries for a number of encyclopedias and I have served as a freelance editor for a philosophy textbook. “Birthday Parties.” The Social History of the American Family. Marilyn Coleman & Lawrence Ganong eds., September 2014. “Engagement Parties.” The Social History of the American Family. Marilyn Coleman & Lawrence Ganong eds., September 2014. “Sweet Sixteen.” The Social History of the American Family. Marilyn Coleman & Lawrence Ganong eds., September 2014. “Wealthy Families.” The Social History of the American Family. Marilyn Coleman & Lawrence Ganong eds., September 2014. “Barn Facades and Crime-Solving: How do we know a crime was solved.” In Psych and Philosophy, Robert Arp, Ed. Popular Culture and Philosophy. New York: Open Court Press 2013. “Friends and Lovers: Why Your Best Friend May be Your Greatest Love.” in What Philosophy Can Tell You about Your Lover. Edited by Sharon Kaye. Oxford: Blackwell, March, 2012. “Celery” in Encyclopedia of Cultivated Plants. Christopher, Cumo, Ed. Santa Barbara, CA; ABC-Clio, 2013. “Georgia” in Native America: A State by State History, Daniel S. Murphy, Ed., Westport, CT: Greenwood Publishing Group, 2012. “Wealth and Poverty” in The Encyclopedia of the Early Republic & Antebellum America, Sharpe Reference, 2010. “Maternal Ethics” in The Encyclopedia of Motherhood, SAGE Publications, 2010. “ADD” in The Encyclopedia of Motherhood, SAGE Publications, 2010. “Christopher Columbus‟ Mother” in The Encyclopedia of Motherhood, SAGE Publications, 2010. “Nannies” in The Encyclopedia of Motherhood, SAGE Publications, 2010. “Royal Mothers” in The Encyclopedia of Motherhood, SAGE Publications, 2010. “The General Will Toward Perpetual Peace: A look at the general will in Kantian Political Theory” Presented at the 2007 International Social Philosophy Conference, Millersville, PA.